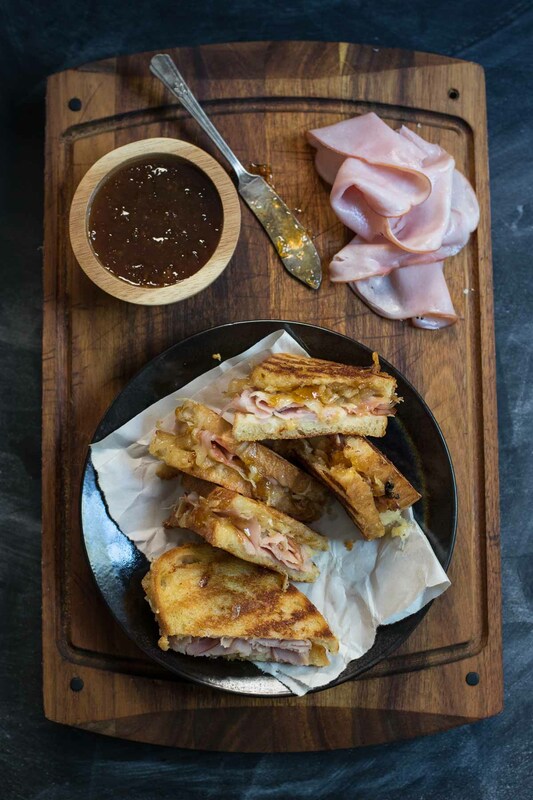 This Gruyere Grilled Cheese with Ham, Caramelized Onions, and Fig Jam is the ultimate in sweet savory comfort food for fall. Each fall for the past several years, I’ve hosted a grilled cheese party at my house for girls night. This is my favorite party to plan. I love trolling the fancy cheese section of our grocery store looking for new cheeses and toppings to try. I rarely allow myself free reign in the cheese aisle (we do have a mortgage to pay, after all), but for this party I make an exception. I fill my cart with spicy cheeses and stinky cheeses, melters and flavor boosters. I usually can’t resist an infused honey or an interesting jam. Then, I move onto the deli and add a few smoked meats, sliced prosciutto, or ham, and finish off my selections with olives and fresh or pickled veggies. 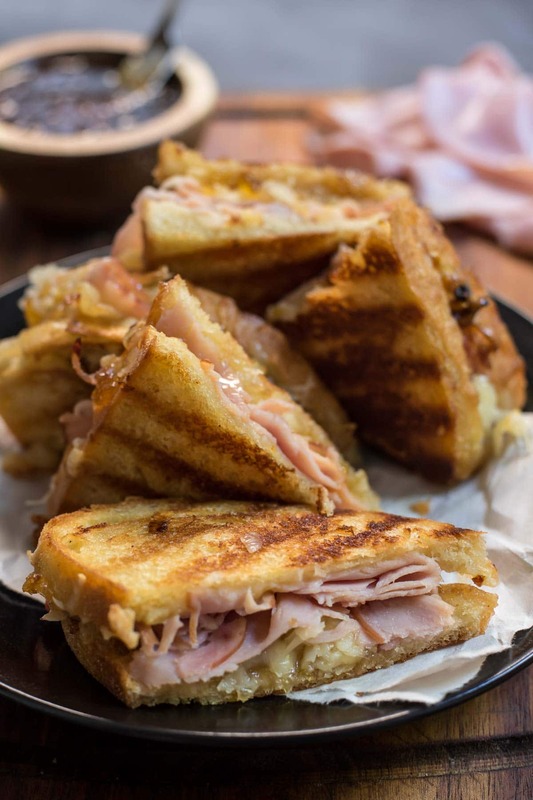 I end up with quite the array of options, but every year I keep a few classics around: gruyere, mozzarella, ham, and pesto are my must haves for every grilled cheese party. My favorite part of the whole process is, of course, the making and eating of ALL the grilled cheeses. I love seeing the combinations my friends make and discussing which cheeses and toppings make the best, meltiest, most irresistible grilled cheese. Last year I added two new toppings to the mix, but I’m pretty sure they’re going to be standards from here on out. 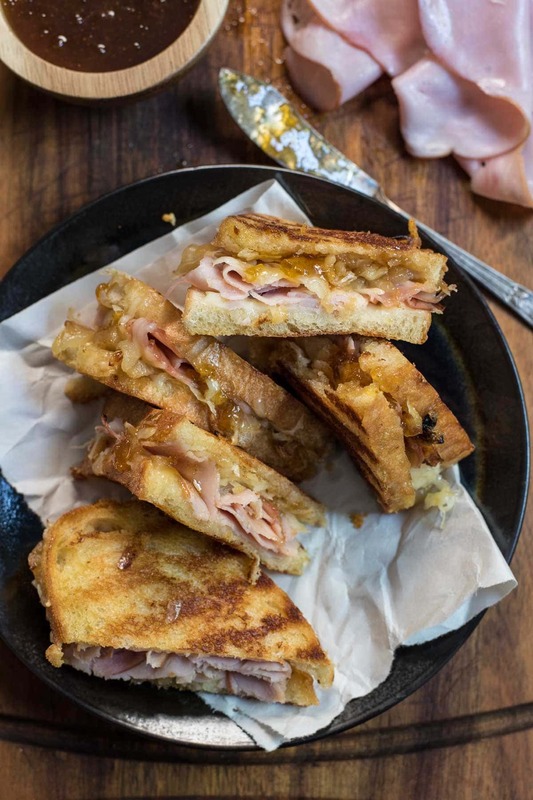 Caramelized onions and fig jam have officially earned their place on the grilled cheese party circuit. 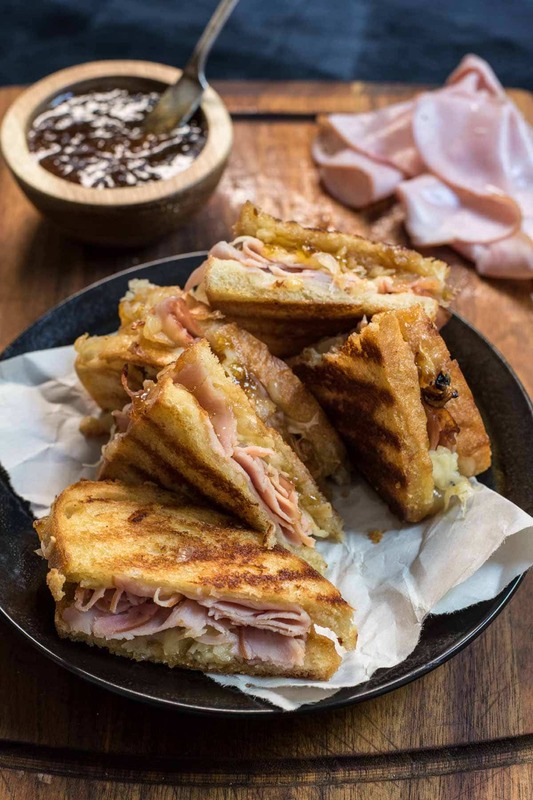 It was inevitable from the beginning that those golden onions and that thick, sweet jam would make their way onto a sandwich piled with gruyere and black forest ham. They were destined to be together, and from here on out, together they shall be. This sandwich is about all a girl could ask for on a wet, cloudy fall day like today. 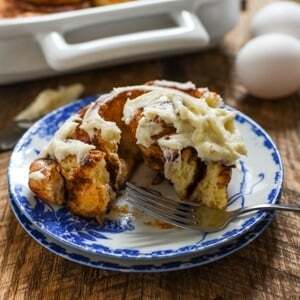 It’s warm and gooey, with that crispy buttery crust that makes me a little weak in the knees. But it’s really the sweetness lent by the sticky fig jam and deeply caramelized onions that do me in. This is a combination you’ve got to try. It’s simple enough for a weeknight dinner, but elegant enough for a party, especially a party filled with girlfriends who have as much love for grilled cheese as you do. 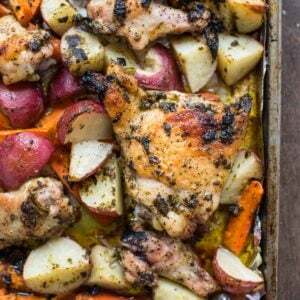 Place the oil, a pinch of salt, and the sliced onion in a pan over low heat, stirring to coat. Continue to cook, stirring occasionally, until the onion slices are soft, golden brown, and caramelized, about 25-30 minutes. Spread one side of each of the bread slices with the softened butter. On the other side, layer 1/2 the cheese slices, the ham slices, and the caramelized onions followed by the rest of the cheese. Spread the top piece of bread with the fig jam. Place the sandwiches in a skillet over medium heat. Cook until the bottom is golden brown. Carefully flip the sandwiches over and cook the other side until golden brown and the cheese is melted. Serve the sandwiches warm.